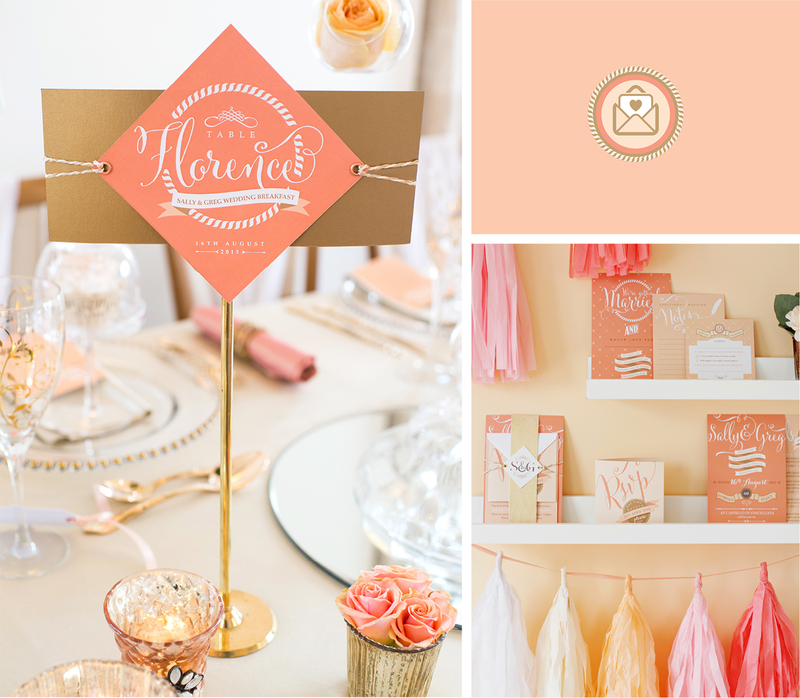 ABOUT: With a dreamy palette of blush, peaches, corals and golds, the ‘Florence’ stationery collection is perfect for the couple seeking something stylish with a romantic edge. 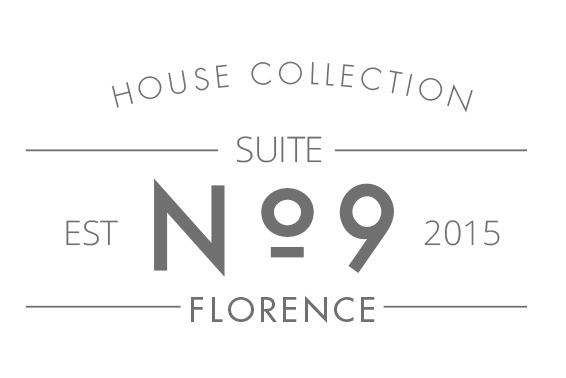 The design of each item combines classic fonts with modern calligraphy and decorative banners. 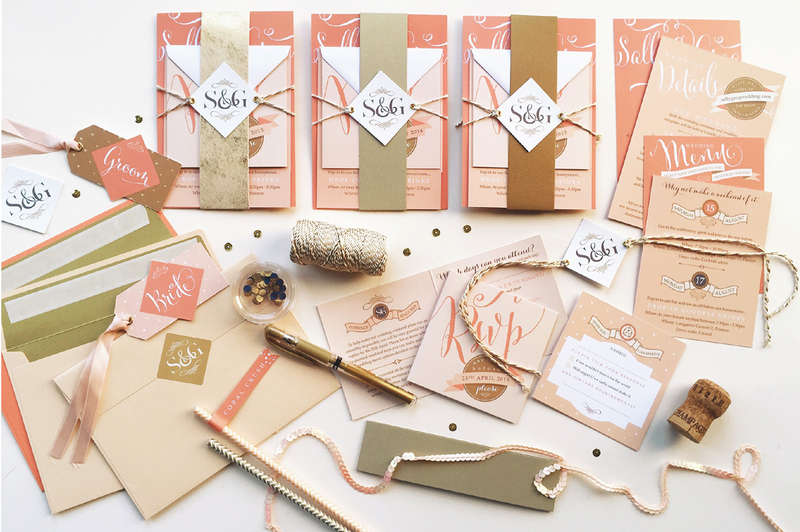 The simplicity of the individual pieces is enhanced through the layering of the items and the different textures of materials used, creating a luxurious tactile invitation that you’ll be thrilled to send to your guests. 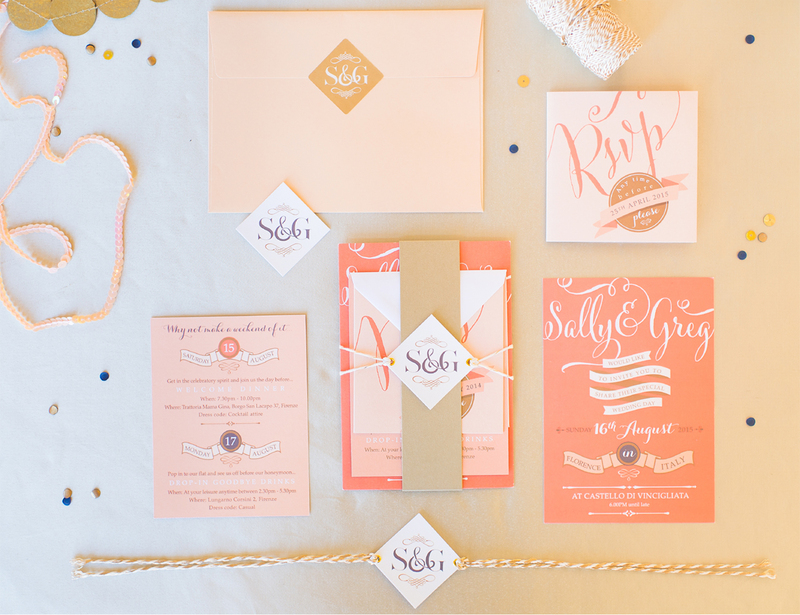 The suite comes with a main wedding invitation, an information card (for all the important little details), a RSVP card (available as a double sided insert or 4 page card for those with more info to capture) along with their own self-addressed return envelopes. 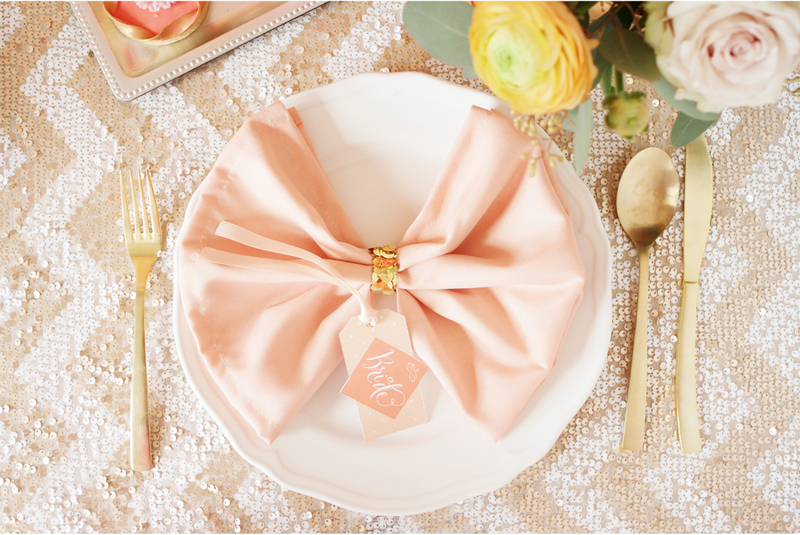 The items are then placed within a gold wrap band (3 gold choices available) and finished with a monogram tag and glitter twine. 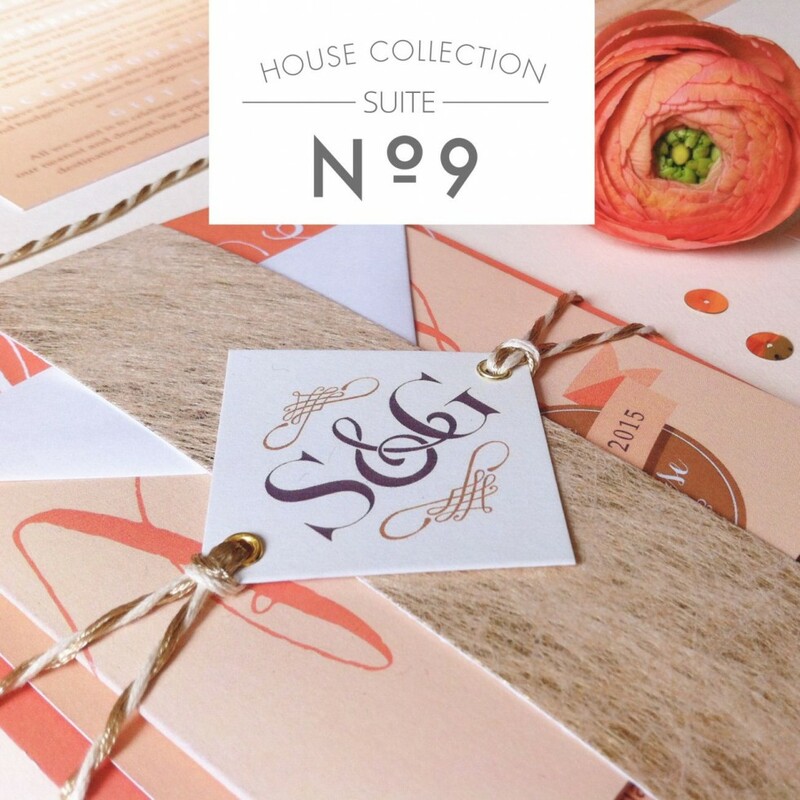 There are further luxury upgrades available with the stationery such as gold eyelets in the tags, peach/coral gold lined envelopes, envelope monogram seal stickers and personalised guest address labels. 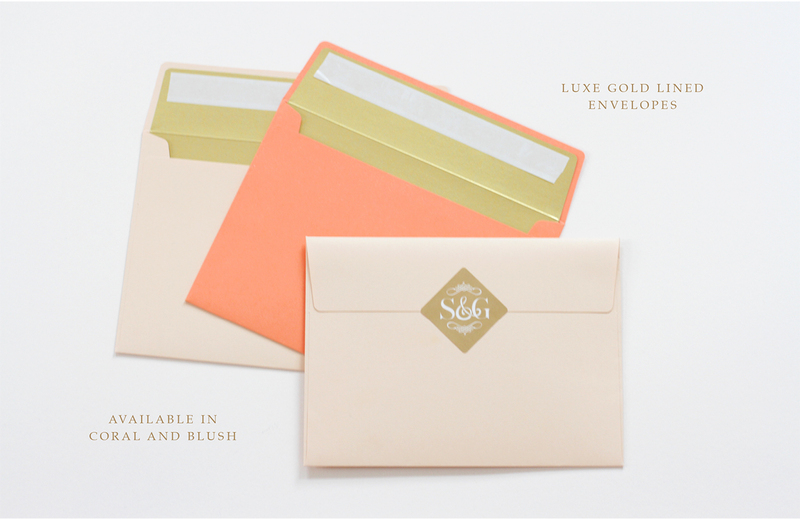 The stationery can also be made super-luxe with the addition of gold foils for that extra special finish. 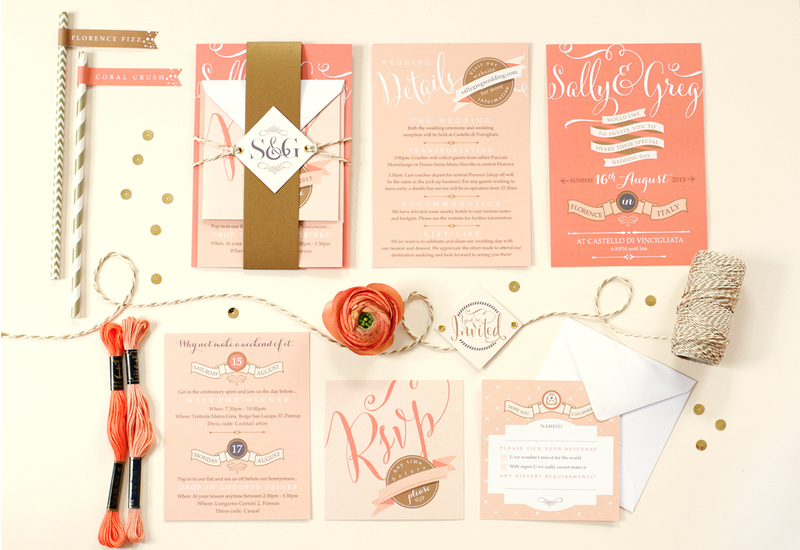 You can pick and choose the items of stationery you require to suit your needs and budget. 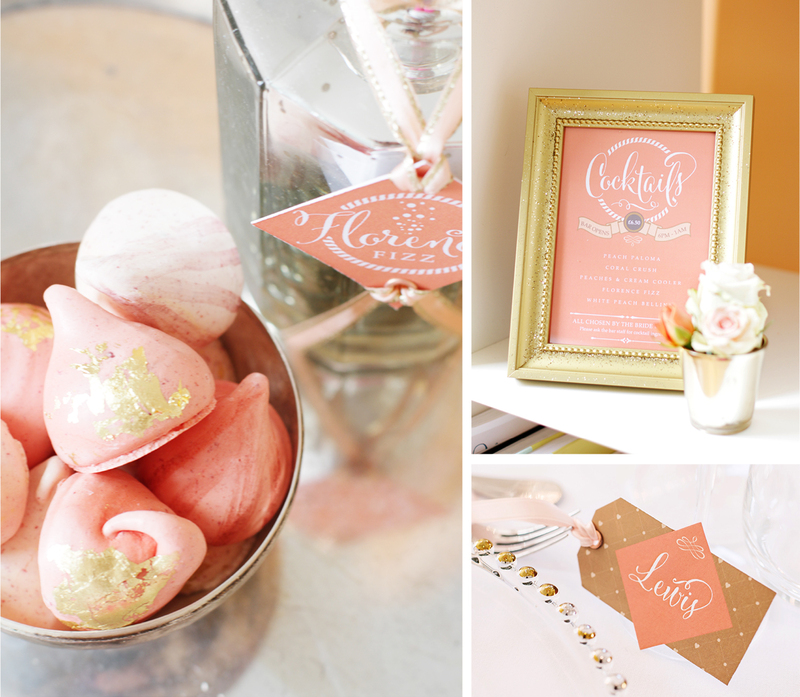 On-the-day stationery is also available in this suite, which can include the order of service, table names, place names, menus and a table plan. Further bespoke items can also be requested and designed to match.